A screenshot from the episode "Dare Devil." 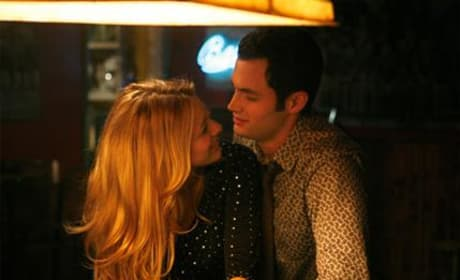 For Dan Humphrey (Penn Badgley) and Serena van der Woodsen (Blake Lively), romance is in the air. Do the stars who play this great couple feel the same way in real life? Blair searches for the perfect outfit for her sleepover. Sorry, we mean her soiree. Yup, that's Jenny Humphrey. You never would have imagined she could look so good. In Dare Devil, Dan shows Serena around his cue... if you know what we mean! They played billiards.